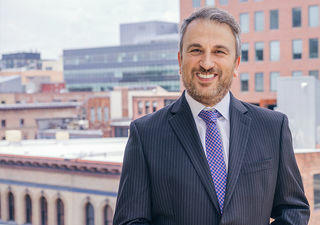 Mr. Ergun has more than 18 years of technology experience building customized solutions across the areas of knowledge management, business intelligence, e-discovery, finance, marketing, and human resources. He leads the firm’s technology department covering records, business intelligence, litigation support, application development, desktop, and web applications. Before joining DGS, Mr. Ergun served as IT director for several AmLaw100 firms overseeing legal technology, knowledge management, e-discovery, records, library, HRIS, financial system, legal project management, legal process outsourcing, and practice support functions. Mr. Ergun earned his Master of Science in Engineering Management from the New Jersey Institute of Technology and is a PhD Candidate in Information Management at the Stevens Institute of Technology, focusing on artificial intelligence and data mining.